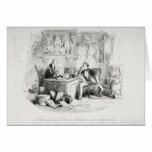 Since they were published Charles Dickens books have never been out of print. As I began to research the Charles Dickens books for this article, I was amazed at some things I read about the man and his out of the box thinking for his time. Why the sudden interest in Charles Dickens and his books, you ask? Well, the 200th anniversary of his birth was on February 7th, 2012. It is not many authors who remain so well read almost a couple hundred years after they have passed on to the Great Library in the sky. Dickens, however, is one of those few. I did not realize that once his books were published they have never been out of print. As a lover of reading and books in general, I find that pretty amazing. So, let's find out a little more about Charles Dickens the man and his books. 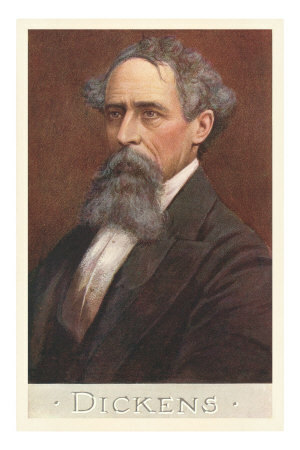 As I mentioned above, Dickens was born on Feb 7, 1812 and only lived to be 58 years old. One of the reasons that he could write about poverty and the injustices of the time was because it was a part of his young life. His entire family was sent to debtor's prison when he was 12. Young Charles spent time out of the prison working in a factory that made blackening for shoes. His job was to stick labels on the boxes of blacking. It was this time in those bad conditions that he based his later work, David Copperfield. The iconic Victorian author, Charles Dickens, did not go about publishing his work in the traditional manner of his day or even for this era of time. It was not uncommon for an author to take his published book and put installments of the books in local newspapers or periodicals to garner some interest. Dickens sort of went at it backwards but I think it was shear genius on his part. None of his books started out as a book. Nope, he wrote monthly installments of each story that was then later published as a book after the installments were complete. He became a master at serials and the "cliffhanger". He had to know where to stop the story so that people looked forward to next month's installment. Pretty ingenious, I think! Back in the mid and late 1800s when Charles Dickens was writing his stories that later became books or novels, he had to do it basically with pen and ink. And it was the messy kind of ink, the kind where he had to dip the nib in the well every so often to get it to write. He wasn't sitting at his trusty old Smith Corona tapping those installments out because the typewriter wasn't invented until two years before his passing. As far as promoting his work, it had to pretty much be by word of mouth. There was no late night talk show tour with Leno, Letterman, and Kimmel. He couldn't go on the radio to talk about his latest story and he couldn't tweet that it was now available in paperback form. He also didn't have any friends on Facebook to share it with. His popularity spread because of his talent as a writer by people reading it in the periodical and telling their friends. And 180 years later, we still read the incredible Charles Dickens books. 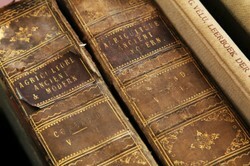 Many people collect the books by Charles Dickens and other memorabilia pertaining to his work. 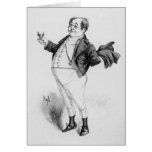 Back in the 1900s when postcards were very popular there were several series put out that included Charles Dickens. Some had him featured as the literary giant that he had already become, others depicted characters from his novels, and others might show the house where he grew up or wrote his wonderful stories for generations to enjoy. They are not always easy to find but then that makes them even more treasured when a Dickens fan finds one. Did you enjoy learning a little bit about Charles Dickens and his books? Thanks for the info. Had no idea how he grew up but can you imagine a 'debtor's prison', that would have to be awful! I don't think there is a solid book collector or reader who doesn't have either some or the complete works of this prolific writer on their bookshelves. I have his complete works and have admired his work all my life, reading many of his stories as a boy growing up in my own poverty. Like Poe he is a master of the word and both had similar lives. I had the opportunity when I visited London in 1968 to go to the Old Curiosity shop which was still standing. It was a place where Charles was said to have visited often and wrote some of his stories from there. I have in my possession an original ink etching of the Shop, it hangs in my library. I've enjoyed Charles, Mark Twain and Edgar Allan Poe writings and stories and write myself in their style, a dark, grey writer I am:-) Thank you for sharing this delightful snapshot in time of this magnificent scribe Charles Dickens. I love Charles Dickens he is a great author and this is a great review. Dickens is one of my favorite authors.